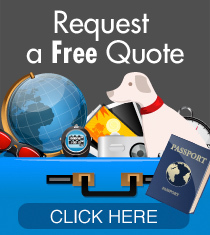 Making Mexico Pet Relocation Easy! LATAM’s experts will help you navigate the bureaucracy and documentation requirements for importing or exporting your pets in Mexico. 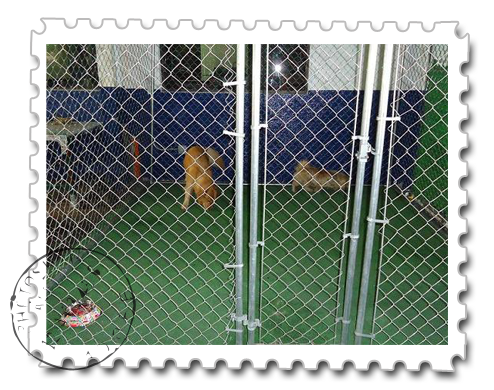 After arriving Mexico City, our pets await clearance in their own runs large enough to exercise, as well as being fed and watered. Mexican Customs clearance can take several hours, and pets on flights arriving after 2pm each day will be cleared the next morning. During the waiting time, LATAM’s customers will enjoy the only on-site and bonded kennel at Mexico City’s International Airport! Broker services are needed in Latin American countries to export pets. Convenient Overnight Accommodations at Mexico City! No more waiting in a hot warehouse inside your shipping crate! LATAM pets enjoy waiting inside a huge run while they await the Mexican Customs clearance. Below are two happy pets that just arrived from the USA. That the animal or animals have been immunized against rabies, indicating the date of application of the vaccine and validity of such, Animals under the age of 3 months are exempt from this requirement. That they have been subject to treatment against endo and ectoparasites in a period of less than six months prior to the shipment. That in the inspection previous to export, the animals have been found clinically healthy and free of ectoparasites. In the case of animals originating from Mexico, the need to file the health certificate is exempted if for the export of the pet an Export Sanitary Certificate was issued in Mexico, as long as the date of said certificate does not exceed six months, and item 2 is complied with. The Official Medical Veterinarian of the Agricultural and Livestock, Aquatic Life and Fishing shall verify the documents and perform a physical inspection. Bedding or similar items that may accompany the animals will not be allowed in. Only a small amount of food to cover the arrival date will be allowed. The health certificate issued by a private veterinarian must be issued in letterhead paper, and contain the professional registration number (or equivalent) printed of a copy of such must be attached. Also, all pets must have a valid rabies vaccine, dated not less than 30 days and not more than 360 days before arrival. The Rabies Vaccination Certificate must be on the vet’s letterhead, signed by the vet, and must state the date given, vaccine manufacturer, and the expiration date. Mojo is safe and travelling with us through beautiful Mexico, we’re 800km from Cancun, our final destination. Adriana was simply amazing in her communications and care. From paperwork to keeping us up-to-date with Mojo’s whereabouts to offering us water and tissues to clean Mojo on arrival. I have absolutely zero remarks and will not hesitate to ask you to fly Mojo back to Europe in two years. Latam Pet Transport helped us transport our dog from US to Mexico in a simple and clear manner with excellent customer service. They were very flexible when we had to change travel dates and gave us great tips to make this process go smoothly. During the trip we were constantly in contact with them and we knew where our dog was. We will use them again if we have to transport our animals to Latin America. Thank you! We are all very happy to be here and to be together again. We will definitely recommend all of you to others. You made this move very easy for all of us. Once again – - – THANK YOU!!! For more details, please contact a LATAM Professional Pet Move Specialist.